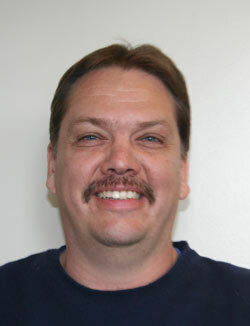 Growing up, Pat Guyer spent his free time with his best friend working on cars. Instead of going out to the clubs with their peers, the two would help fix cars. Cars were their passion. One of the first jobs Pat held was at a muffler shop, sweeping floors at night. This humble beginning soon led to training on how to do exhaust and brake work. As time went on, Pat learned more and more about the mechanical side of cars. After a 3-year stint working at an electrical distributor, Pat got a job as a manager at a tire shop in Raymore continually learning more about tires and cars in general. When the muffler shop across the street went up for sale, Pat bought the shop, making the transition from employee to owner. In 1996, Pat joined a friend to purchase Royal Muffler and has been there ever since. 10 years later they began the transition from Royal Muffler to Royal Automotive which included the addition of Pat's daughter Kim as service advisor. 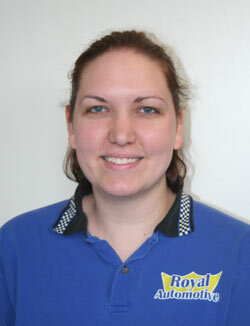 In 2008, Pat bought the shop entirely, becoming the full owner of Royal Automotive. At Royal Automotive, we pride ourselves on being an honest repair shop. As our customer, we want you to understand everything we do, knowing all your options so you can make a well-informed decision for your vehicle. Our ASE Certified Technicians won’t recommend any repair they can’t prove, and will take you into the shop to show you anything they find first hand. We will take the time to explain everything and answer any questions you have, so you can feel confident in your decision to bring your car to Royal Automotive! Our ASE Certified Technicians can service all your car’s needs, including all factory required maintenance services. A couple of our specialties at Royal Automotive are alignments and computer diagnostics. Our top-of-the-line alignment equipment can handle both newer cars and older cars that have been modified. We take the time and care to make adjustments to your vehicle, so you get a perfect alignment every time, and we exhaust every resource at our disposal to ensure the repairs we recommend and perform are accurate and necessary. We want your experience at Royal Automotive to be a positive one! We offer free WiFi in our waiting area and a few toys to help keep the kids busy. Our free local shuttle service can take you to work or home if you would rather not wait in our shop, and Royal Automotive is conveniently located next to the 54th Street Bar & Grill. A Certified Auto Repair Center, Royal Automotive is a repair shop you can trust! For more information or to schedule your appointment, call us at (816) 246-4737 or use our online form.